Former Capital FM presenter and beauty queen Pinky Ghelani is a celebrated media personality and public speaker. At age 43, the model boasts a career in media spanning decades having started as an 18-year-old. On a personal level, Pinky has had the misfortune of losing four babies through miscarriage. She spoke to a local magazine about how she dealt with the losses, dating a younger man, and marriage. 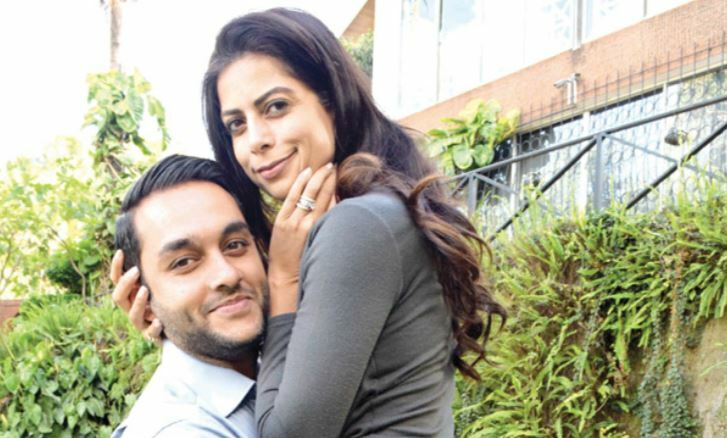 What has the private life Pinky Ghelani been up to? What haven’t I been up to? (Laughs). Let’s see; I am launching my communications company. I have spoken at several forums like TedX, This Is My Story, Dadasphere and Engage and I consider myself now a public speaker. I work with UNHCR and currently focused on the LuQuLuQu campaign that speaks for refugees in our country. I am working on the My Power of Her Initiative, a push for empowered women to empower other women, and I am currently on track to raise Sh5 million for women refugees under the initiative. Every Monday, I run a panel at Westgate known as What Women Want, where women- experts and learners, come together to discuss everything from finance to beauty. I left radio in 2004. I had joined when I was 18 and I felt like I had reached a ceiling. I got married, tried to have a baby and failed. I have had four miscarriages so far. After the first one, I needed to get out of my slumber, because losing a child left me depressed. So when an opportunity arose for me to be the editor of DRUM magazine, I jumped at it. But four months into the job I was very sickly pregnant with my daughter. I kept asking God why he would give me this great opportunity then let me be so unwell. Four miscarriages are a lot. How did you deal with that? What I learned through them is that we are not talking about it enough. We need to be talking about it because it is normal, and as women we don’t realise that. We tend to blame ourselves. Also, we don’t really support a woman who has gone through a miscarriage. At the end of the day, no matter how fast she lost her child, she still lost a child and we need to stand with her in her mourning and grieving. We need to allow her the space to go through it. It is heart-breaking but we have to normalise it so that there is no longer the black cloud or stigma of losing a child through a miscarriage. Many people go…“Oh my God, she’s so much older than Raj! Oh my God, what does he see in her?” Hello, it is just a three-year difference. It’s no big deal. Age ain’t nothing but a number. We are not getting grey any time soon. I think when it comes to relationships, you have to really be able to connect with the person that you are with. Be open and honest. It is very difficult because you have some very ugly moments. How you handle those moments is what defines your relationship. I started dating my husband when I was working. He was a student in the UK and I was hung up on him so I resigned and followed him to the UK where I started working at Zee TV. Best marriage advice you ever heard? I use that principle in all the areas of my life. In marriage, it happens. It is not all love hearts, candy floss, sugar sweet kisses. No. There are some real ugly moments in relationships. But the truth of the matter is that your choice is made when you decide to be with the person that you want to be with. When you have seen them at their lowest and at their ugliest. At 43 now, what is the one thing you know for sure about life? That you have to live unapologetically and to teach others the same. You have to learn to love yourself. I do not mean in an egotistical way, I mean getting down and dirty with your soul. With who you really are. When you are alone and you think no one is watching and you do something – that is who you really are. That is the person you need to get to know completely and love without negotiation and without apology. Once you learn to love who you are, that is when you step into your true power.